April 19, 1952 Cover of "TV Today" A Pre-TV Guide Publication covering the Detroit and Cleveland Markets..With offices in both cities and published in Sandusky. 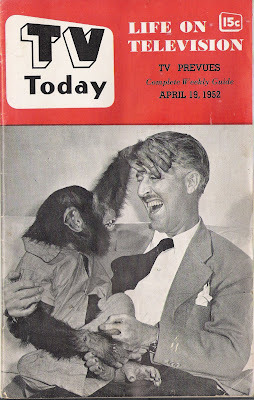 Here a Young Marlin Perkins has fun with "Heine The Chimp." Perkins was host of NBC's Zoo Parade out of Chicago. 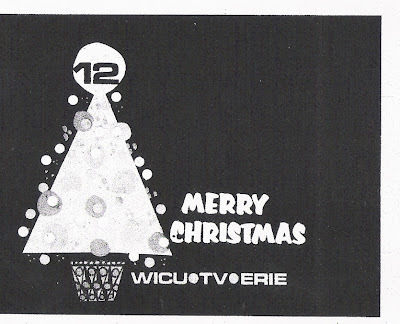 This was purchased at oldtvguides.com out of Illinois-An excellent resource for vintage TV Guides and other pre-national regional publications, as well as some old newspaper supplements. 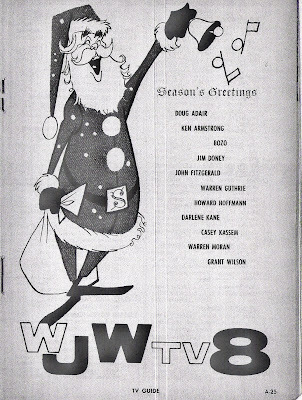 We've written extensively about TV stations' Histories in the time we've been here, Including a very well done WJW-TV 8 History by Ex-TV 8 Webmaster Richard Warner, which has been part of our links for some time. 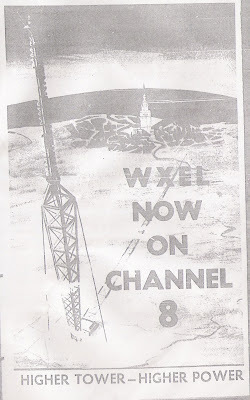 What I thought we'd do now is take a specific week of Broadcasting at the old WXEL-TV 9, predecessor to TV 8. We'll look at April 19-25, 1952 as published in "TV Today", a Magazine that covered the Cleveland and Detroit Markets equally from Officies in both cities, publishing out of Sandusky, Ohio..The format was One day of Detroit stations on the left page, and one day of Clevelamd stations on the right page. Both Cities had 3 stations:Detroit 2, 4 and 7 and Cleveland 4, 5, and 9. 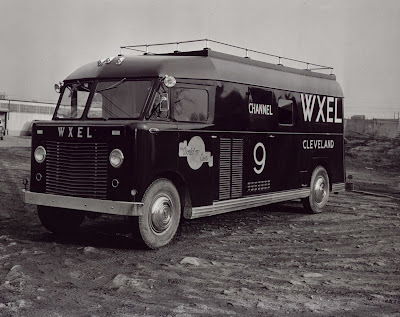 WXEL 9 haf been on the air nearly 2 1/2 years at this point..They were considered primarily DuMont but carried ABC and a surprising number of CBS Shows, though WEWS-5 was the primary Cleveland CBS affiliate. ABC was still struggling, as was DuMont..This week shows WXEL at a time when it wasnt certain whether ABC or DuMont would survive, yet DuMont hung around for about 4 more years. ABC would turn the corner in 1953 with its merger with United Paramount Theaters. 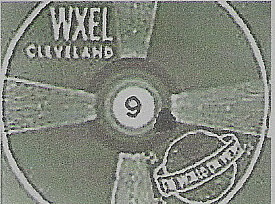 Cleveland Indians Baseball would begin on WXEL this week, with announcers Bob Neal and former American League Umpire "Red" Jones. 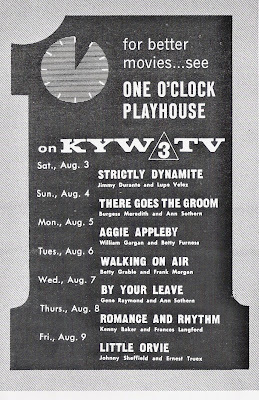 According to Franklin W. Snyder, WXEL General Manager, there would be a fourth camera added to the telecasts this year..
Other notes:Ruth Lyons' 50-50 Club, a staple of Crosley TV stations in Cincinnati, Dayton and Columbus, was shown at this point by WNBK-TV Channel 4 Cleveland, WWJ-TV 4 Detroit and the NBC-TV Network. Personal Note:This is my 100th post..and the last of 2007..Have a safe and Happy New Year.. 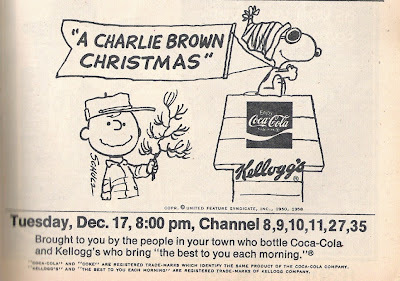 Ad for the Tenth showing of "Charlie Brown Christmas" On CBS. After all those years on CBS, it stll seems like the Charlie Brown Specials shouldnt be on ABC. 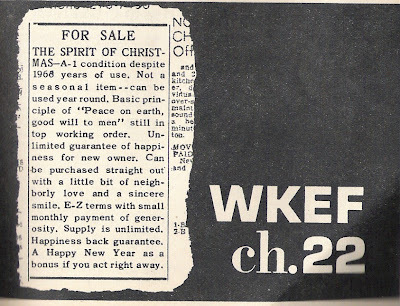 Ad for the Tony Orlando and Dawn Christmas Show..still in its first months on the air..
We begin our look at Christmas through the years with the year 1974..Watergate brought about a presidential resignation and price inflation was starting to hit Americans in the Pocketbook..WEWS' Morning Exchange was hitting its stride..Gene Carroll (with Don Webster) and Polka Varieties were still going..the previous summer (1973) WNEO-45 Alliance, Ohio (PBS) signed on-The first use of Channel 45 in Northeast Ohio since the ill-fated WXTV-45 ceased operations in 1962. Mac Davis' returned in his Variety Show on NBC Thursday nights at 8PM Bing Crosby and Perry Como also had specials this week, as well as Bob Hope..
3 Mike Douglas-Liberace CoHost (Today Only) In a salute to the 1950's-Douglas had 5 differesnt cohosts (one each day) saluting a different decade..
43 WHA Hockey-Cleveland Crusaders at Michigan Stags (Detroit)-Steve Albert and Paul Wilcox report-Crusaders lost 1-0..(shrpsports.com). 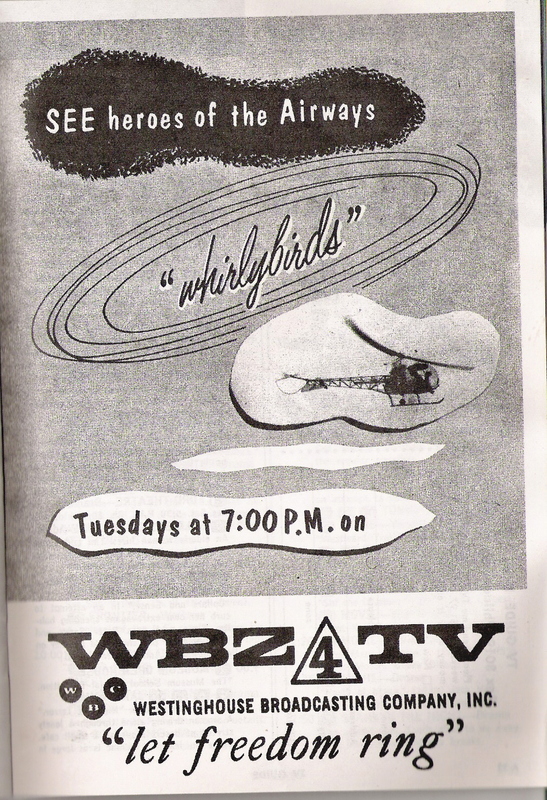 The Michigan (Former Los Angeles Sharks) team would move to Baltimore (1-19-75) before the end of the 1974-75 season and fold at the end of the season..
25 Kamm's Corner-Cleveland Press editor Herb Kamm hosted this discussion show, Though the program title was a play on the name of a Far West side Cleveland Neighborhood, Kamm's Corners..
Television Grid for Wednesday, December 17, 1952 in the Cleveland Press. The Press, being an afternoon paper, would normally publish afternoon/evening programs after 4:00 PM on the Paper's publishing date, then the following day's Morning-afternoon programming..
Today we will take a brief look at December 17-18. 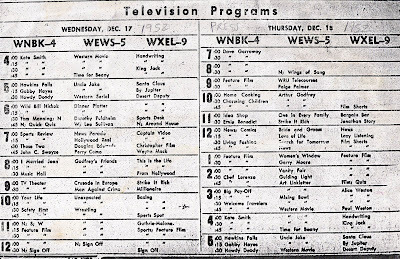 1952 as published in the Cleveland Press.. Stations were doing a lot of local programming especially in the morning and afternoon..CBS was on Channel 5 and DuMont was actually the main network on 9..ABC was still struggling..There was also NBC owned WNBK of course..December 17 was WEWS' 5th anniversary but nothing appeared to be said on the air about it..
9 Bargain Barn-Sort of a "garage sale of the air"
This was posted originally on December 13, 2007..A complete newscast, including commercials and holiday greeting spots..Original posting is below..
"Bill performs White Christmas on trumpet for The Bill Holly Popeye Show, which ran on Los Angeles station KHJ-9 in 1966-67. 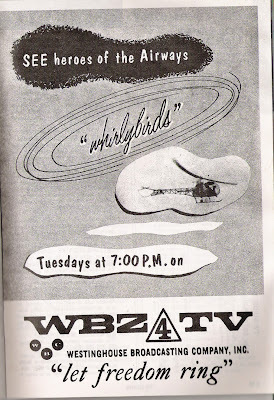 Programs from this era were routinely erased, but Bill was able to save a reel's worth of his legacy and sent me a copy. As far as I know, this clip is the last existing Holly show video. There are also a very few still photos." I know I have some Blog readers in Southern California that might enjoy this..For others, this recalls the tradition of Captain Penny, Barnaby, Woodrow, Mr. Jingeling and others..Thanks very much to ddimuro for sharing.. 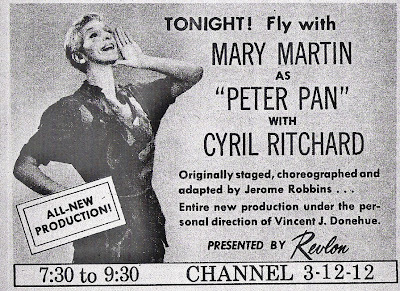 Ad for the "Jack Benny Program"-Sunday, December 4, 1960. 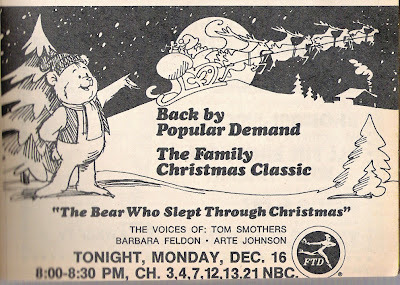 This was the first season Jack went to an "every week" format rather than airing "alternate weeks" with other programs. 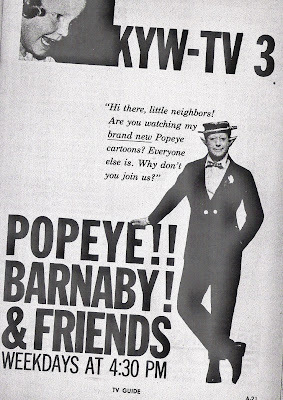 Ad featuring Linn Sheldon for "Popeye,Barnaby and Friends" from December 1960..The "Brand New" Popeye Cartoons were the King Features Made for TV cartoons made from 1960-62..Personal note:I grew up on these Popeye cartoons before I even knew about the earlier Fleischer/Famous Studios Theatrical Popyes from the 1930's to the 1950's.. I thought today we would look at The first week of December, 1960..December 6 has special meaning for me as we will see later. 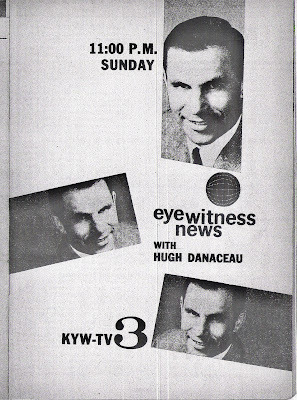 Baranby was well into his third year on KYW-TV as was Ron Penfound's Captain Penny..
On the Network front, The following week's TV Guide had an exclusive-Tennessee Erine Ford was quitting his successful NBC Variety Show..The One O Clock club (Dorothy Fuldheim, Bill Gordon) was gaining afternoon popularity on WEWS-TV 5..Mike Douglas at KYW was still a year away from Premiering opposide One O Clock Club..KYW had a movie at 1PM hosted by "Big" Wilson, morning man at KYW-1100 AM..
TV Guide Schedule for Tuesday, December 6, 1960.. I said earlier that December 6 has a special meaning for me..Today is my Birthday..Hitting the big 5-0..(shudders to think about it)..I want to thank Blogging buddy 74WIXYGrad for the nice well wishes this morning on his blog. Check it out in the links to the right.. Though I probably didnt watch even one show on the day referred to above because I would have been only 3 years old then..LOL.. 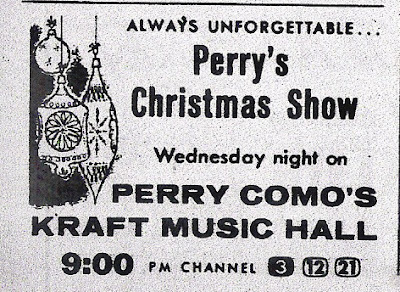 There are some performers, while They have made a career and a reputation by singing many kinds of songs, when you mention their name, you think immediately of "Christmas"..Perry Como is such a Performer. 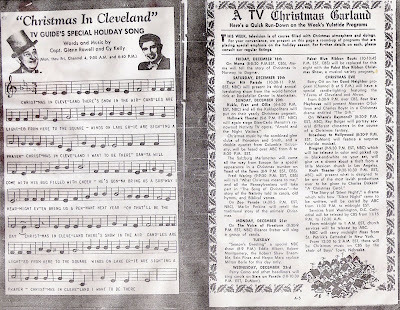 Here is a live musical performance, likely from his show on Saturday December 20th, 1958 over NBC, "Its beginning to look a lot like Christmas" which it is weatherwise through much of the Northeast and the Midwest US..Trivia:Perry Como was featured as the "singer" on Radio Program Fibber McGee and Molly for a time in 1937..He is rivaled only by Bing Crosby and Bob Hope in the number of TV Holiday specials through the years..Thanks to YouTube user Kokomo Selekt for sharing..
One of the things that has fascinated me over the 8 months or so in doing this blog is the way TV stations used print advertising in Newspapers and TV Guide Magazine let the public know of particular shows or favorite station personalities. Many times, in such advertising, the station uses a graphic representation of itself, known variously as a "station id" or "station logo".. to make itself stand out..A few days ago, we saw some YouTube examples of Network Level Id's/Logos on film..some dating back to the 1940's.. 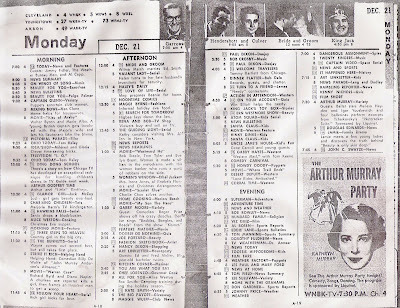 In collecting listings from TV Guide the last few years, I've managed to get a few 1957-58 listings from TV Guide Cleveland, Pittsburgh and a Reprint Boston/New England Edition. What all 3 cities had in common was the fact that Westinghouse Broadcasting owned a station in each city. In looking over the listings I noticed that KDKA, KYW and WBZ-TV all had the exact same logo..Call letters on the left, the letters TV on the right and a triangle in the middle with the channel number inside..It strikes me that the ABC owned stations have used a variation of "Circle 7" as long as I can remember..And NBC owned stations used a simple block number with the "N" Logo in the late 1970's..
10:30 How Do You Rate?